The Fed’s easy money policies have pushed margin debt on the New York Stock Exchange (NYSE) to record levels laying the groundwork for a severe correction or another violent market crash. 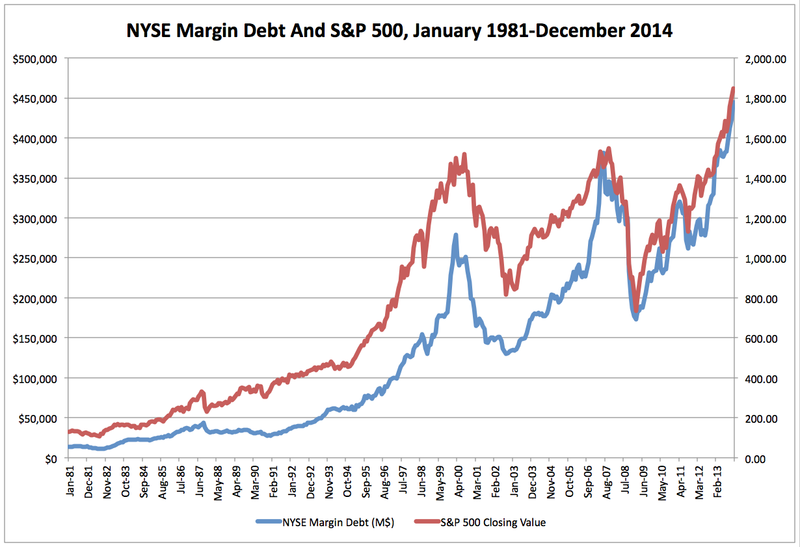 In December, margin debt rose by $21 billion to an all-time high of $445 billion. Buying equities on margin, that is, with loads of borrowed cash, is a sign of excessive risk taking the likes of which invariably takes place whenever the Central Bank creates subsidies for speculation by keeping interest rates pegged below the rate of inflation or by pumping trillions of dollars into the bloated financial system through misguided liquidity programs like QE. Investors have shrugged off dismal earnings reports, abnormally-high unemployment, flagging demand, droopy incomes, stagnant wages and swollen P/E ratios and loaded up on stocks confident that the Fed’s infusions of liquidity will keep prices going higher. It’s only a matter of time before they see the mistake they’ve made. The chart below illustrates how zero rates and QE lead to excessive risk taking. The correlation between the stratospheric rise of margin debt and the Fed’s destabilizing monetary policy is hard to avoid. This is what bubblemaking looks like in real time. There you have it, the Fed sees the results of its work; the distortions in P/E ratios, the exuberant stock buybacks (“equity repurchases”), the deterioration in the quality of leveraged loans, and the steady rise in margin debt. They see it all, all the bubbles they’ve created with their gargantuan $3 trillion surge of liquidity. Now they have started to reverse the policy by reducing their asset purchase from $85 bil to $65 bil per month, the effects of which can already be seen in the Emerging Markets. The bubble in Emerging Markets has burst sending foreign currencies plunging and triggering a sharp reversal in capital flows. 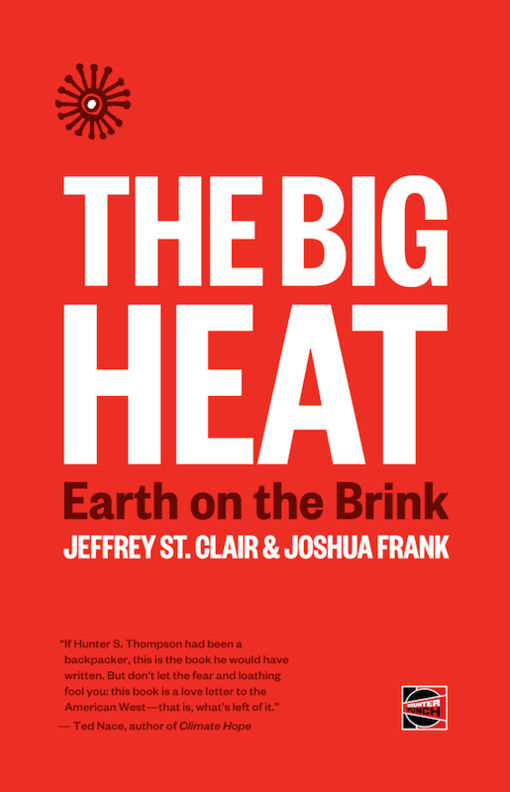 The hot money that flooded the EMs,–(which lowered the cost of borrowing for businesses and consumers)–is entirely attributable to the Fed’s policy. QE pushes down long-term interest rates forcing investors to search for higher yield in other markets. Thus, the cost of money drops in EMs creating a boom that abruptly ends when the policy changes (as it has). The Fed doesn’t care if other countries are hurt by its policies. What the Fed worries about is how the taper is going to effect Wall Street. If the slightest reduction in asset purchases causes this much turbulence abroad, then what’s it going to do to US stock and bond markets? Stock market crashes are always connected to massive leverage, loosey-goosey monetary policy and irrational exuberance (“excessive risk taking”), the toxic combo that presently rules the markets. The Federal Reserve is invariably the source of all bubblemaking and financial instability. 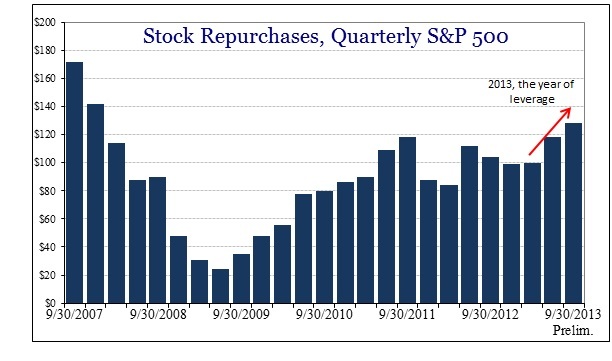 “In the third quarter of 2013, share repurchases totaled $128.2 billion, the highest level since Q4 2007. For the twelve months ended in September 2013, aggregate share repurchases were an astounding $445.3 billion; the only twelve-month period greater than that total was the calendar year of 2007 and its $589 billion. Why, indeed? Of course, the author is just being rhetorical, after all, he knows why people are piling into junk. It’s because the Fed has kept a gun to their heads for 5 years, forcing them to grab higher yield wherever they can find it. That’s how Bernanke’s dogwhistle monetary policy works. By slashing rates to zero, the Fed coerces investors to speculate on any type of garbage that’s available. That why junk “just had its second biggest year on record.” You can thank Bernanke. Housing is also in a bubble due to the Fed’s zero rates, withheld inventory, government modification programs, and an unprecedented uptick in all-cash investors. Clearly, there’s never been a market more manipulated than housing. It’s a joke. Also, the Central Bank has purchased more than $1 trillion in mortgage-backed securities (MBS) via QE, which begs the question: How can housing prices NOT be in a bubble? So the Fed is going into the “bubble-deflating” biz. And uber-dove Yellen is going to put things right. She’s going to eliminate the price distortions and gradually return the markets to normalcy. She’s going to wind down QE and start to reduce the Fed’s $4 trillion balance sheet. And she’s going to do all of this without raising interest rates or sending stocks into freefall? Right. It’s a pipedream. The first sign of trouble and old Yellen will be scuttling across the floor of the New York Stock Exchange with a punch bowl the size of Yankee Stadium.